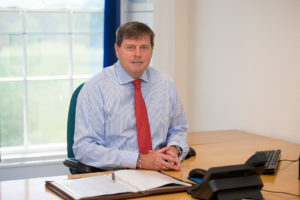 Cumbria’s Police and Crime Commissioner, Peter McCall, welcomes HMICFRS’s report into how Police Forces in England and Wales are tackling modern slavery and human trafficking crimes. “This is an excellent report which rightly recognises the significant work done by Cumbria Police to combat Modern Slavery. It really is a fantastic achievement to be one of the 3 forces in the country to be noted by HMICFRS Inspectors for the great work being done by our Force here in Cumbria. We are often quick to criticise the police but this work demonstrates that we are fortunate to have a proactive and professional Police Force in Cumbria. “Sadly Modern Slavery does exist and is a horrible crime. I have seen for myself many great examples of how the Constabulary have worked hard to raise awareness of this scourge, and how hard they work to prevent vulnerable people from being exploited. I’d like to extend my thanks, on behalf of the public, to the officers and staff who have demonstrated such commitment and drive to keep our communities safe. “We are naturally very pleased to be recognised for examples of best practice in our approach to tackling modern day slavery and human trafficking offences. “Over the last 12 months the Constabulary has invested a great deal of time and effort to ensure that the whole workforce is aware of what modern day slavery and human trafficking is, the signs to look out for and how victims can be safeguarded. This work means that the Constabulary and the public can be confident that Cumbria has a police force that can investigate such offences effectively and offer victims the safety they deserve. “These offences cannot be tackled by police alone, it requires a number of trusted partner agencies working effectively together to ensure the safety of people in this county. “Earlier this year we hosted a conference event bringing together experts from a number of partner agencies to highlight the effect these offences have on communities and raise awareness of what is happening in Cumbria. “There is still a perception in Cumbria that these type of offences are unlikely to be happening in this county and are issues for larger-populated areas of the UK. This is simply incorrect, modern slavery and human trafficking can unfortunately occur in any community with victims so isolated that they feel they cannot disclose what is happening to them. I hope that our continued public awareness campaign work, as well as effective policing, can lead to victims finding the courage to report information.